It's so easy to offend when one is dealing with someone who is of the same culture and language, so dealing with other customs can be fraught with great difficulty and trepidation. So let the adventure begin, first don't think that all Chinese are the same just because they are Chinese, the fact is that the overseas Chinese will probably follow more traditional customs and manners than the Chinese born in The Peoples Republic. Some Chinese act as if China has remained the same as when their grandparents left the old country. 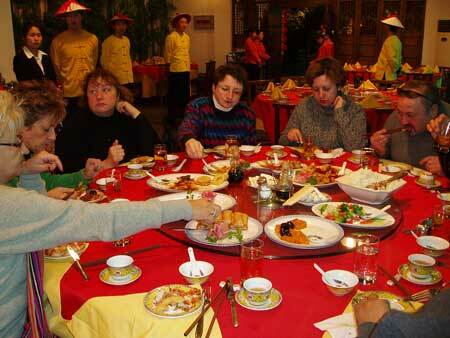 But many modern Chinese in China may not use the same customs that the overseas Chinese will use. And some people will do things without even knowing why just that is how it has always been. In no particular order these are some of the customs and manners that I have encountered and my friends have told me about. The Chinese love to eat so the first and best place to start our adventure is the Chinese dinner. In hosting the Chinese host will pamper you to pieces, having been working at banquet graces since the time when much of the Western world were living in. Don't play a drum solo on your rice bowl with your chopsticks, as that is an insult to the cook. Don't ever place your chopsticks standing upright in your rice bowl as that is how you place incense (joss sticks) when praying the Dead. The proper way to eat from your rice bowl is to pick it up, place under your mouth and shovel food into your mouth but it is always a good thing to look at the other people at your table to see how they behave. When the Chinese people are enthusiastic about a dish, that does not mean that it is a good idea to reorder the same dish at the same dinner as the Chinese like variety so order something else. When there are weird foods that you don't want to eat you won't lose face if you don't eat them, as there are also many Chinese that do not eat the weird and exotic; so just politely say that you don't eat those foods and the next time your Chinese host will not place those foods before you. There is a legend about one of the Chinese Emperor who was travelling incognito. As he and his servants were eating together when he served them tea, by Imperial tradition the servants would throw themselves to the ground and kowtow. But how would they be able to remain incognito? So a secret code was developed. Whenever the Emperor served tea they would tap the three middle fingers of their left hand. So that is what you do when someone serves you tea; but that is not done in every place in China. Don't bring food on your first visit to a Chinese household as that implies that you don't think that they have enough food for you. The traditional gift when visiting a Chinese household is a basket of a dozen peaches or oranges. If at the end of the visit the host gives you some of the fruit back they are asking you to come back for future visits. When being led to a door the gracious Chinese host will ask the guest to go first. But it is good manners to ask the host to precede you. He or she will of course refuse and this little dance goes on for about three times until you relent if the door is big enough you can guide your host in with you. And that will show that you are thoughtful and well mannered. 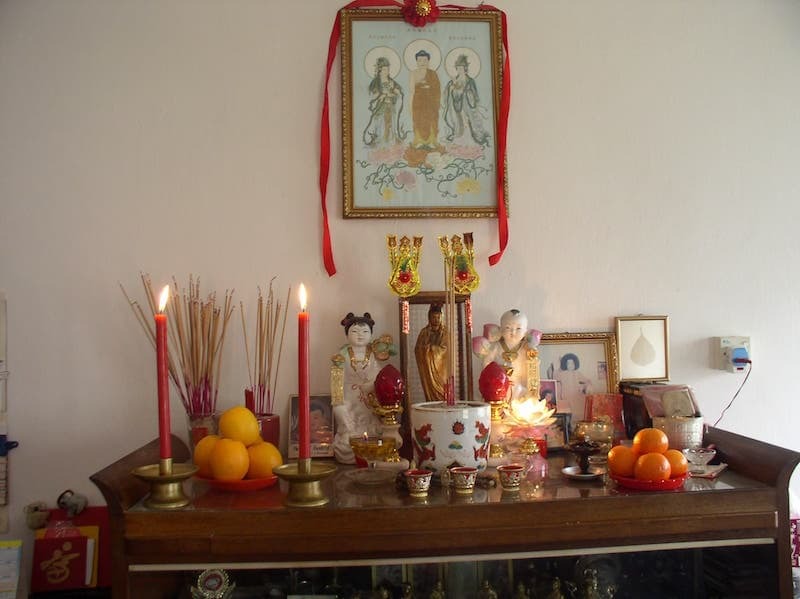 Some Chinese home and businesses have their family altar or household god like Kwan Ti, Kwan Yin , Buddha or some other Chinese deity - please refrain from bowing or making any type of worship towards it as some people can be offended. Don't place your feet towards any altar or Buddha if you happen to be laying down in a Chinese home. Most Westerners don't seem to understand the concept of face and sometimes they will overlook some small detail that will either make a great impression or will really offend. If you are able to do something and don't do it, that will make a bad impression. Sometimes the small details (like walking your guests to the door) are more important than the big details or if you cannot do something yourself you should try to arrange for someone to do what you are unable to do yourself. eg. someone asks you to pick up their child from the airport and you tell them to catch a taxi you would lose face as it was something that you could have done but chose not to do it, you can get away with something if for example, you say it is not convenient, then they will not push or be offended as most Chinese will not want to inconvenience someone but if you say it is impossible then they will still expect you to be able to do something. But don't expect them to tell you that you have offended them as a broken arm is kept in the sleeve, if displeasure is shown, it's likely being done for effect. If a transgression is perceived to be of consequence they are likely to never completely forget or forgive and if greatly displeased they will not miss an opportunity to even things up, they're never in a rush and it will be done with the utmost finesse. 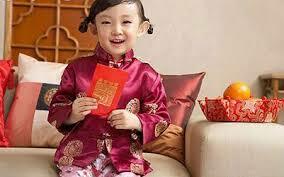 Red, the most popular color in China, creates one of the most interesting mistakes that a Westerner can make. So what is this terrible mistake? Writing in red ink; it is just not done. When you write to someone, red ink is only used when you are angry with someone and you no longer wish to deal with them ever again so don't ever send a letter in red ink. Red is only used in talismanic writing and that won't offend anyone I hope. Red is a good color for gifts as is the color gold. White and black: are death colors so don't wrap gifts in those colors. If you are the first customer of the day a traditional shopkeeper will give you a huge discount because he wants to guarantee the first customer of the day is a sale. If you don't buy something, the shopkeeper will feel that you will bring him bad luck. Some traditional shopkeepers are known to wash down the sidewalk to wash away the bad luck. These are only some of the customs that I have run into both with friends as well as dealing with the Chinese in my bodyguard work. There are more customs and manners but I could fill a book and maybe I will, so let me know what you think. 1. Do not sit on pillows or cushions. 2. Do not sit on printed words: eg. book, newspaper. 3. Do not write in red to a person as that means you are blood enemies. 4. Bad gifts: clocks and hankies. 5. Do not show the soles of your feet (both Chinese and Indians). 6. Don't point at things or people with your finger ­ use outstretched hand. 7. On third visit to someone's home, give a basket of oranges or peaches as a gift. If the person gives some back, they like you. 8. Don't pray/bow in front of a family altar. 9. Don't touch anyone on the head. 10. Invite people to drink tea. If they refuse, invite them again, they are only being polite. 11. Don't wear white coloured hat, Chinese vest with long Chinese robe underneath. 12. Enter a shop when first opened, you get a better deal ­ but don't browse, buy something. 13. Don't take food to someone's house; it implies they don't have enough. PS: If you hand a business card to a Chinese (or any Asian person) you should use two hands to show your sincerity. Likewise if you receive a business card or any important document from an Asian person, you should receive it using both hands (then don't put it down immediately, take a moment to read it carefully to show your respect. The postscript was graciously added by Feng Shui master Jodi Brunner who can be contacted at www.fengshuinetwork.net/jodi. She also fixed all my grammar and format for me. So thanks Jodi!